The Netherlands – Avant Garde music aficionados across the globe are excited about the forthcoming second album by Dutch visual sound artist René van Commenée under the guise Mr Averell titled ‘Gridlock’. Van Commenée is known in The Netherlands for his music (sound) art objects, theatrical performances and soundtracks for theatre, fireworks spectacles and film. Over the years he has worked with many acknowledged musicians around the world and became well-known by fans of Van der Graaf Generator through his percussion performances with VDGG member David Jackson. About ten years after their first duo-performances they released the well-received critically acclaimed album ‘Batteries Included’, a collection of their live recordings. In the same scene, René performed on albums by VDGG’s Judge Smith as percussionist, drummer and vocalist. 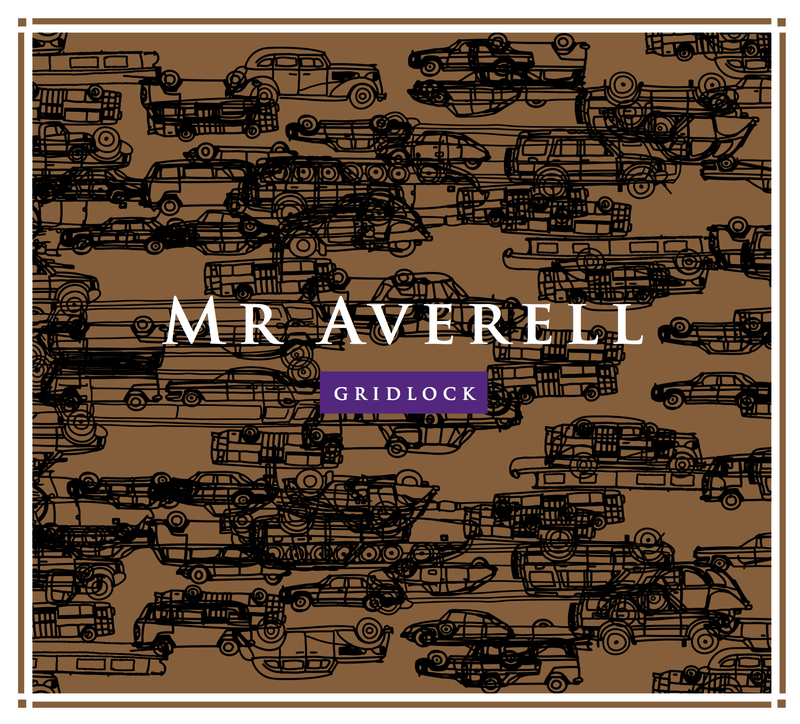 ‘Gridlock’ is the second Mr Averell album and features guest performances by Mike Garson (David Bowie), David Jackson, Hugh Banton and Judge Smith (Van der Graaf Generator), John Ellis (Peter Gabriel, Peter Hammill, The Stranglers), Lene Lovich, along with Stuart Gordon (Peter Hammill, Peter Gabriel, Massive Attack), Dyane Donck (Daisy Bell), Martijn Alsters, Willem Tanke, Ninca Leece, Tammo Heikens and Lisa Weiss. The album is an adventurous journey through very different kind of songs and instrumentals, but all with the typical, quite theatrical Van Commenée signature. ‘Gridlock’ should be listened from beginning to end and isn’t just a collection of songs. Literally ‘Gridlock’ stands for the famous Dutch traffic jams, but also tells about the ‘Gridlocks’ in our lives and heads. The wonderfully produced album may take a bit of time to sink in but once it does, it becomes timeless and unique.